Downstairs the tasteful restoration comprises an open plan living / dining area with wood burning fire as well as a fully equipped kitchen. 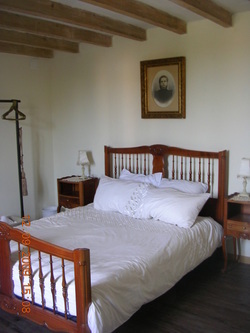 Upstairs, the bedroom has a double bed and a narrow, but long bed suitable for a child or slim adult. 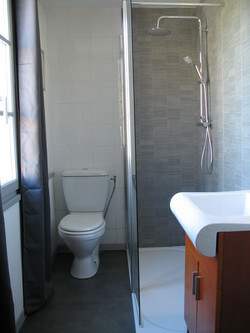 The new modern ensuite bathroom has a toilet, washbasin and walk in shower. There is a small space outside for sitting, however we welcome guests to use the garden of our home next door where we run a "Chambre d'Hotes" (B&B) - and offer the option for guests to take breakfast or Dinner with us on those days when you feel like being spoilt ! The "cottage" gite at CHEZ DYNA offers an individual appartment which may be rented for as little as two nights as well as all year round self catering holiday rental accommodation for two people plus child. 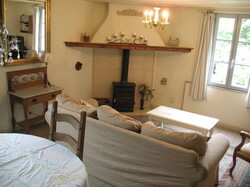 (cot available) in a delightful relaxing self contained rental cottage. The cottage is an ideal base not only for exploring the delights of Cathar country but also for experiencing life in a truly French village, with its infants school, bakery, post office, weekly meat and fish van, children's play area, choir, art gallery and local vigneron from whom it is possible to buy wine directly all with a friendly and relaxed laissez faire attitude. 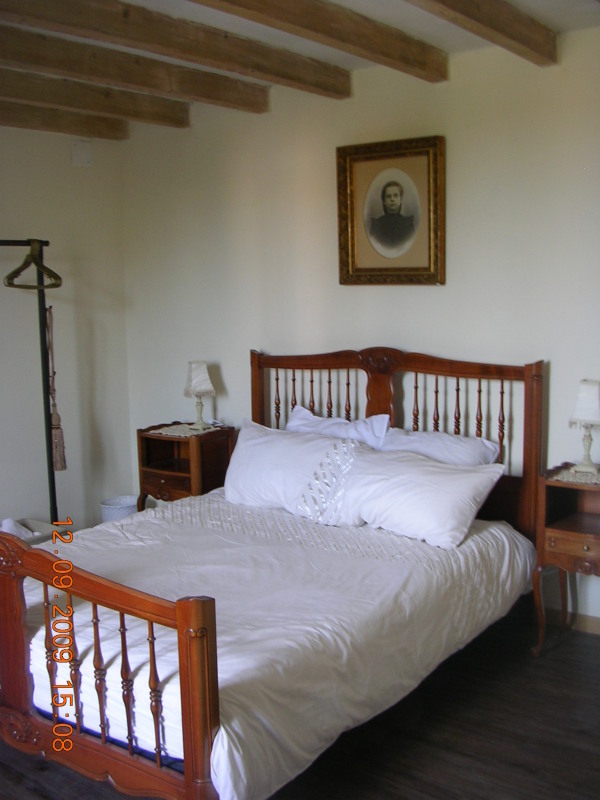 The original beams offer a rustic charm to the elegant airy bedroom on the first floor. 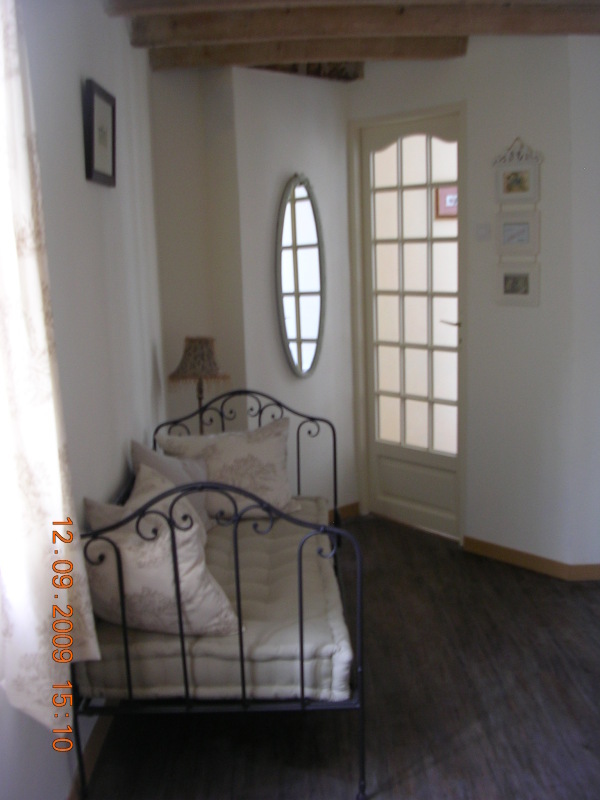 It not only has a double bed but also a day bed which is able to sleep a child. A cot is available if necessary. 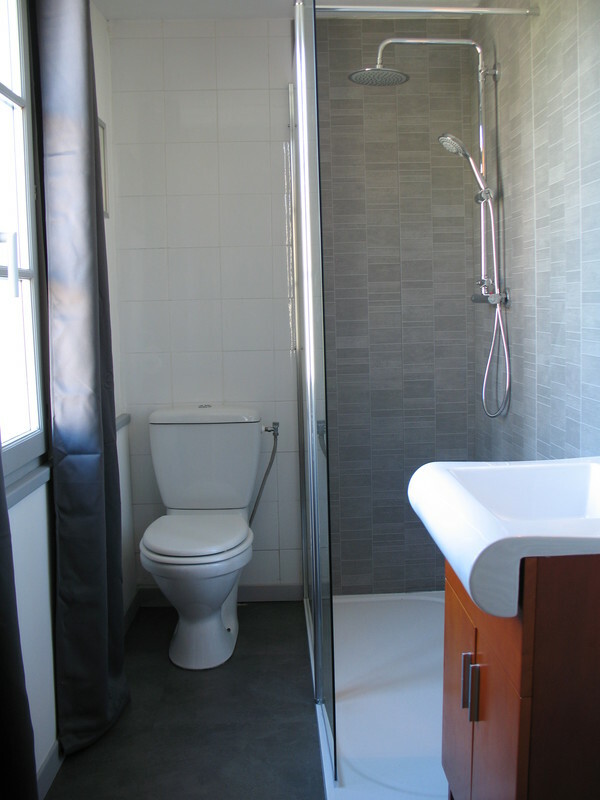 The ensuite bathroom is modern, fresh and bright, with bath and shower. The charming open plan ground floor offers all comforts. It comprises a fully equiped kitchenette with oven, hob, microwave and washing machine as well as dining and sitting areas. 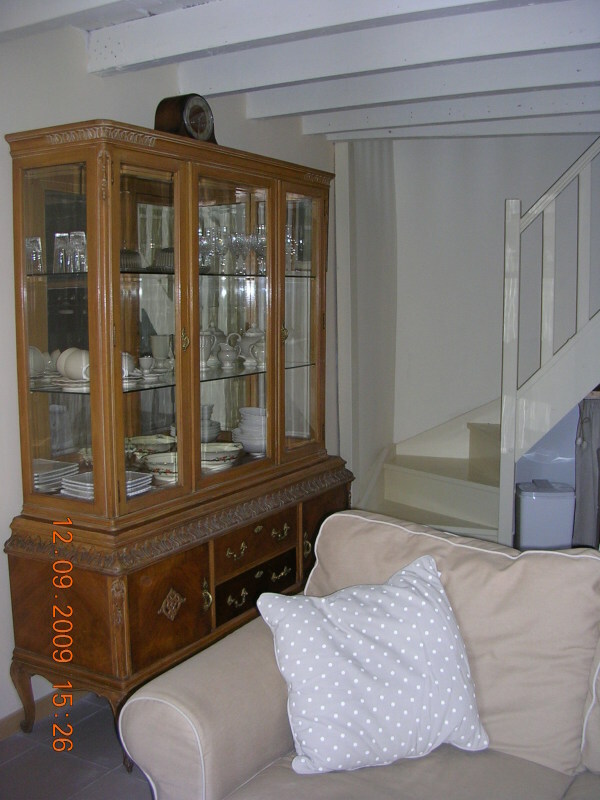 There is a dvd player and hifi as well as a library of dvd's, cd's and books. A selection of family games.is also provided. The wood burning fire allows for cosy comfort in the winter months. 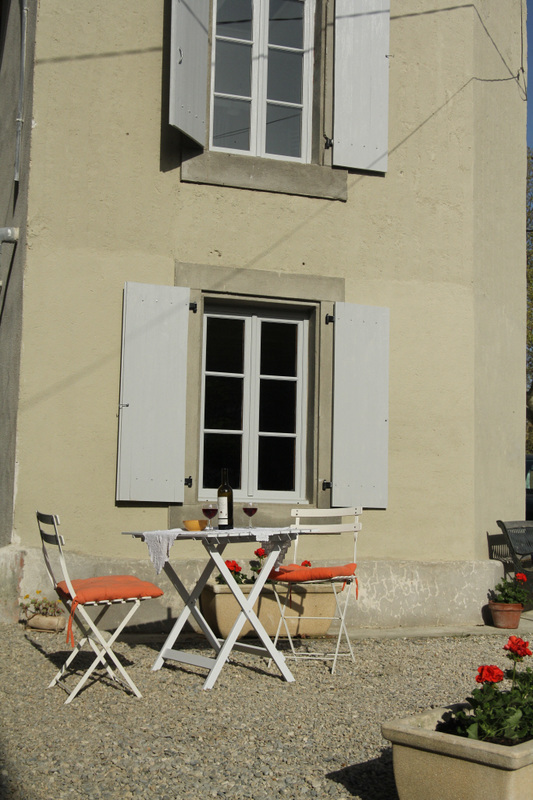 Our gite is available all year round and may be rented for a minimum of two nights. In line with our aim to offer a friendly welcoming environment, we would be most happy to discuss the possibility of arrival / departure on any day of the week. 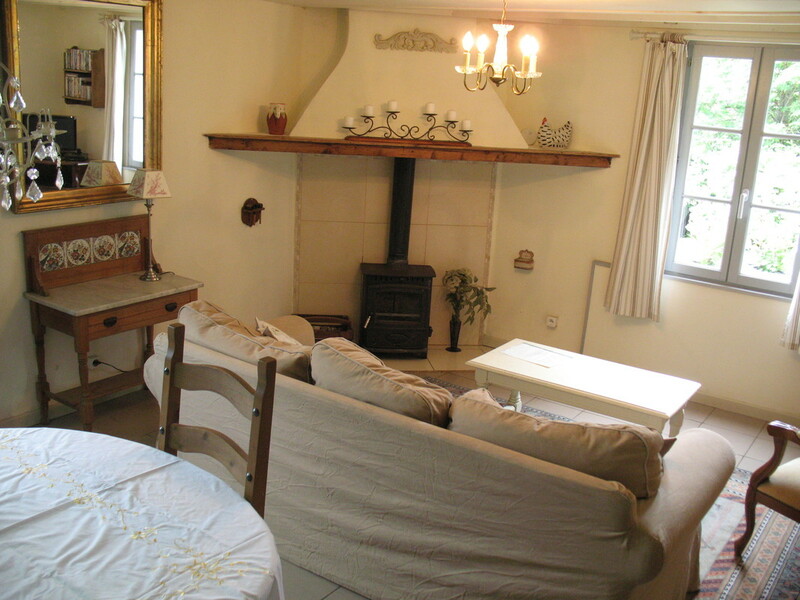 We also offer Chambres d'Hotes (B&B) in our house next door and we can provide a combination of self catering as well as B&B gites and cottage rental accommodation. This can allow you to be flexible on your day of arrival & departure. A local tourist tax of 1€ per adult per night is mandatory and by law we must make this extra charge.